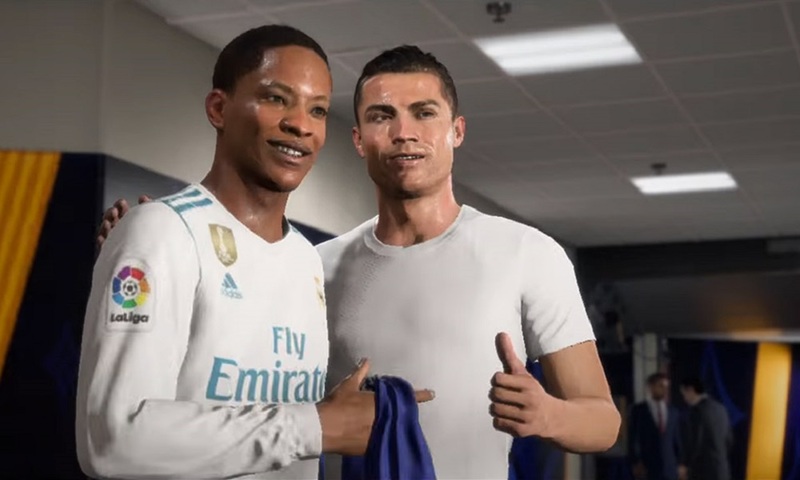 Another shake-up in the UK Charts this week has seen Electronic Arts' FIFA 18 return to the number one slot again, no doubt amidst all the excitement of the upcoming FIFA World Cup 2018 tournament, which kicks off (literally) in Russia this Summer. Last week's debuting number one, Quantic Dreams' Detroit: Become Human, has shifted to second place, followed up be Sony's God of War and Ubisoft's Far Cry 5, which still refuses to go gently into that good night. Both Dark Souls Remastered and State of Decay 2 have also held fast in the Top Ten. Retro-compilations Sega Mega Drive Classics and Street Fighter 30th Anniversary Collection made strong Top Ten debuts, while celebrations continue for the anniversary of Blizzard's online shooter Overwatch, retaining seventh place from last week. Elsewhere in the charts, MadMind's edgelord survival horror title Agony debuted at number 31, while Microsoft's pirate adventure Sea of Thieves made a leap back up the charts, going from number 28 all the way up to number 15. I still think God of War is destined for another turn at the top before sales peak, tune in next week to find out whether games from 2017 (and even 1991) continue to outsell titles from this year.